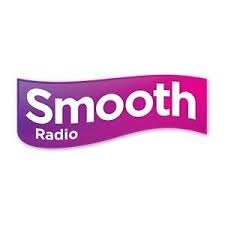 UPDATE The version of Smooth Radio carried nationally on DAB radio multiplex Digital One is to be replaced by seasonal station Smooth Xmas on 15th November 2014, which in turn is to be replaced by a new service from 27th December. The national version of Smooth Radio is displayed "Smooth Radio UK" on DAB receivers. Listeners who listen to this version of the service will need to scan their DAB radio to find the alternative version, broadcast on local DAB multiplexes and reset their presets. In some regions, including the East and West Midlands, North West and North East, the local DAB service also includes regional programming at breakfast and drivetime. Replacement service Smooth Xmas will be on air until 27th December, when Smooth Extra, a new "melodic service targeting an audience aged 45+" is scheduled to take its place. Ofcom agreed that Smooth Radio owner Global Radio could replace Smooth on national DAB with a service containing music from the 70s, 80s and early 90s back in 2013. Global has continued to broadcast Smooth on this slot, allowing local DAB coverage to be developed in the meantime. In Digital One's Multiplex Licence Variation Request, it said of 'Smooth Extra': "The new service will appeal to a similar audience to Smooth, providing a complementary music mix. The new service may simulcast some programming with Smooth London (AL039). Digital One and Global Radio believe that the addition of this service will ensure that Digital One continues to appeal to a variety of tastes and interests while making better use of DAB spectrum available on the national and local layers, thereby increasing choice overall." Last Saturday, Smooth Radio East Midlands commenced broadcasting on the Derbyshire and Leicestershire local DAB multiplexes, so that DAB listeners in most of the East Midlands can continue listening to the main Smooth Radio service, and get the same regional programming as on FM, after the national version is switched off. In Northern Ireland there isn't an alternative currently available on either DAB or analogue radio, so the main Smooth Radio station looks set to be confined to Digital TV platforms, such as Freeview, after its removal from Digital One. a516digital is not responsible for the content of external sites. Updated at 18:16 with statement from Global, and confirmation that the new service will be called Smooth Extra (the Ofcom approval indicated the name was yet to be confirmed).